The Jimmy Pike Scholarship commemorates the life and work of Kimberley artist and printmaker, Jimmy Pike. 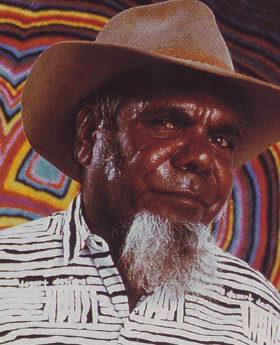 In his will, artist Jimmy Pike provided for a Trust to be set up to receive future earnings from the application of his designs under license, to be used for the benefit of other Aboriginal artists. Proceeds of sales of paintings also go to the Trust. 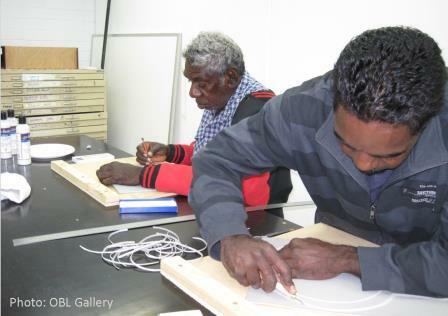 Through a relationship Jimmy Pike had with the School of Communications and Arts at Edith Cowan University in Perth, the Trust has so far used the funds to provide annual scholarships for two or three Kimberley Aboriginal artists to attend printmaking workshops at the School over two weeks each August/September. This has been a highly successful programme, which may be expanded to include other art forms. Read about the impact of two-way exchange within the studio in this article from Imprint, by Paul Uhlmann from Edith Cowan University (reproduced by kind permission of the author and Tungsten). Jimmy Pike Scholarship recipients Pampirla Hanson Boxer (left) and Edwin Lee Mulligan, ECU studios, 2010.